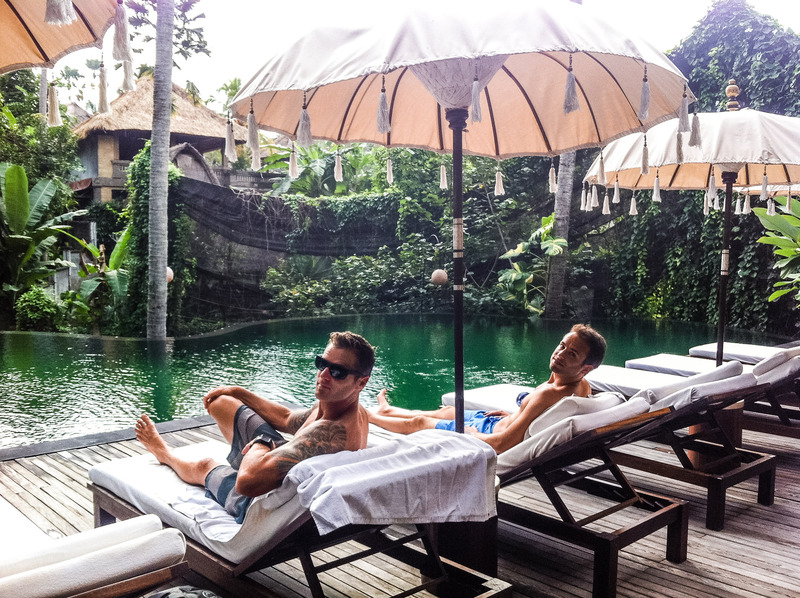 We visited Ubud twice during the two months we were in Indonesia and I sampled a few accommodations options at different price points. Here are my favorite finds. The Swan Inn was one of the best value finds of the whole trip. 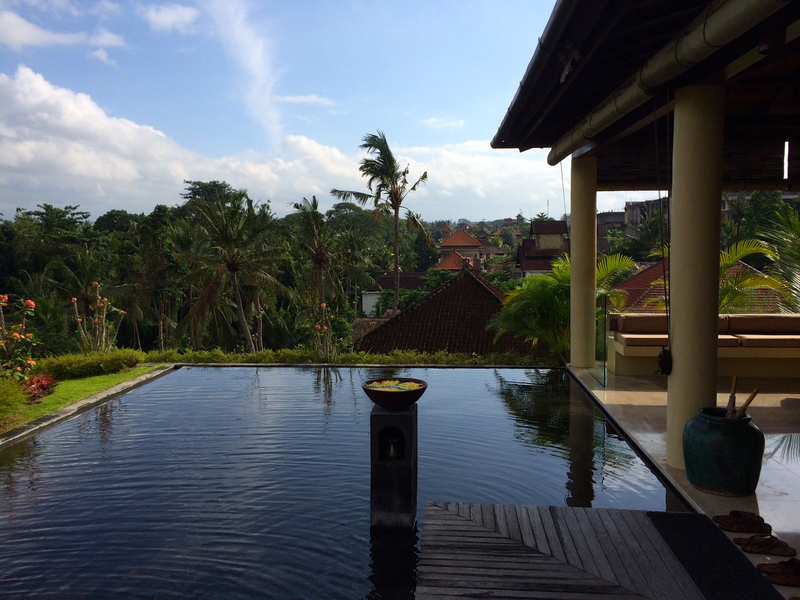 I found it on Agoda for $24/night. We booked the Garden View room and, just as many other travelers reported, we were upgraded the spacious Bungalow for free. 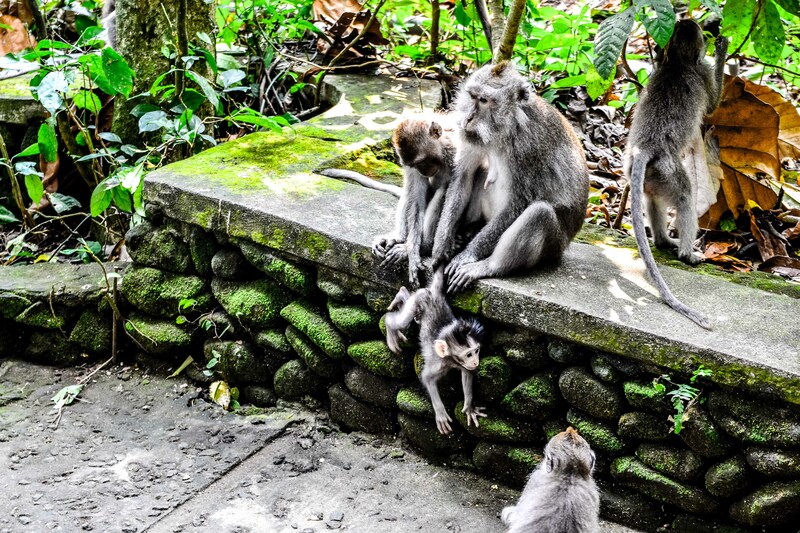 Swan Inn is perfectly located on Monkey Forest Rd., in central Ubud, just a few blocks from the central Ubud Market and a 10 minute walk to the Monkey Forest itself. 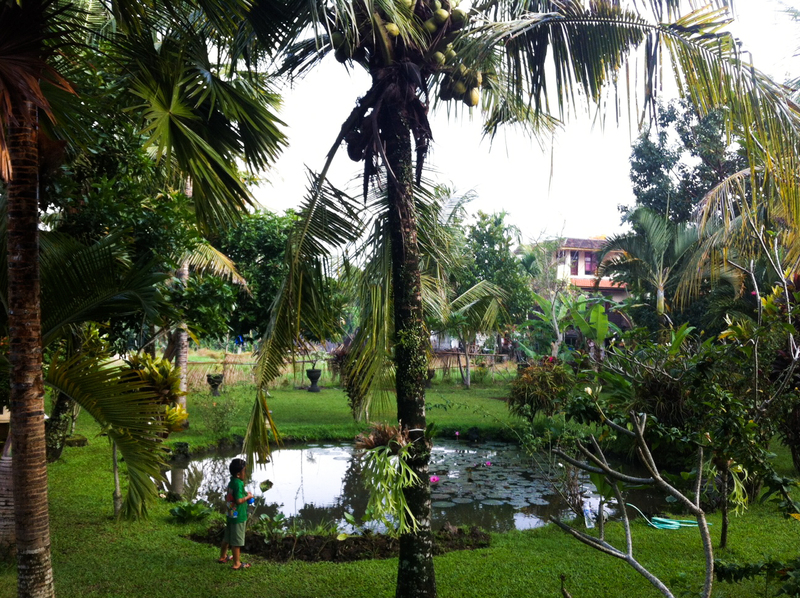 Right in the heart of the hustle and bustle, but tucked away on a side street in a quiet, serene, garden setting. While our friends Crystal and Dakotah were visiting, we opted for renting a two bedroom house so we’d have a kitchen and our own little retreat away from the crowds. 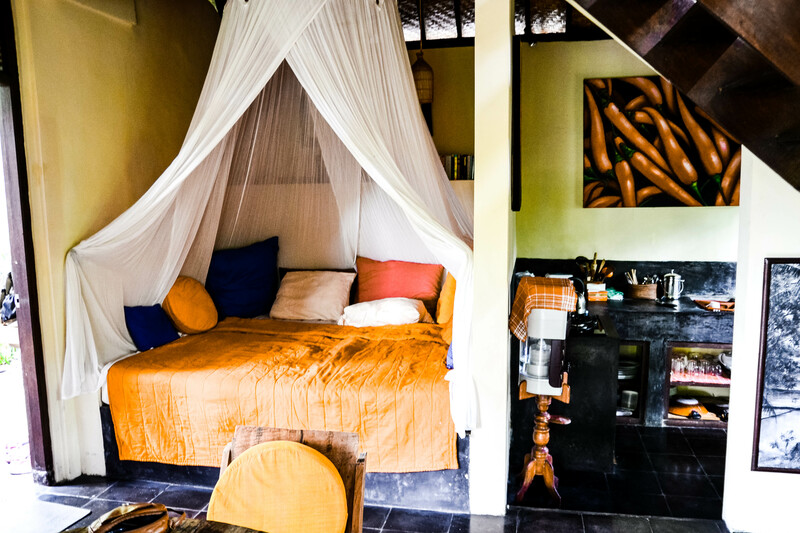 We booked this lush Airbnb gem for $90/night complete with plunge pool, hammocks and outdoor bathroom. The bathroom was a little TOO outdoorsy in the middle of the night when you had to spray the ants off the toilet seat, but the shower was magical. 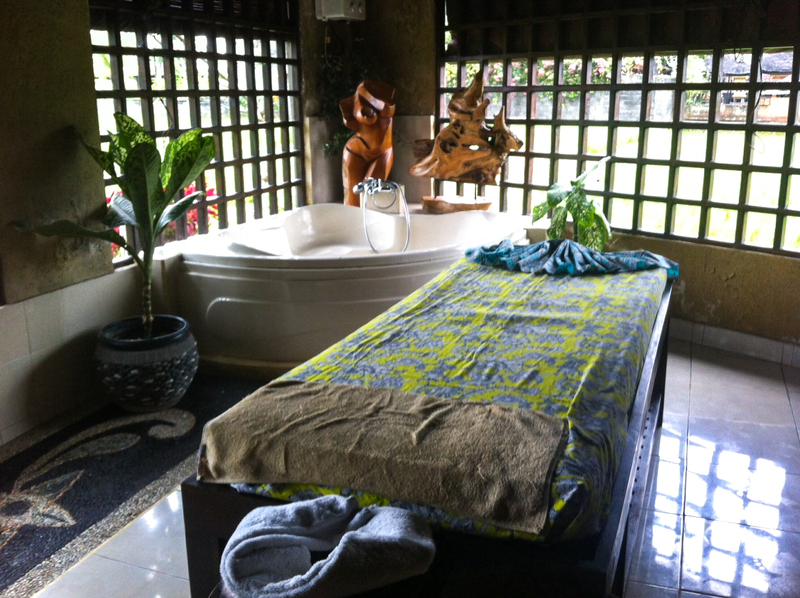 The house is located on the hill near the popular raw food restaurant, Alchemy, a good 10 minute walk to the main road. You can’t take five steps without someone offering you a taxi, so if you’re sick of walking, it’s no big deal. I recommend getting a ride on the back of a scooter for half the price if you’re game. Much faster and more enjoyable! 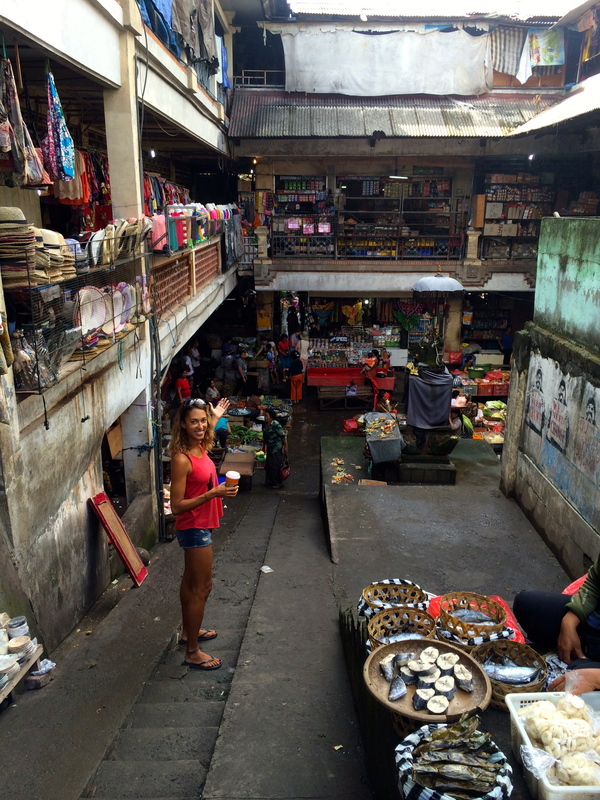 Warung Mendez, one of my favorite places to eat in Ubud is right around the corner as well! 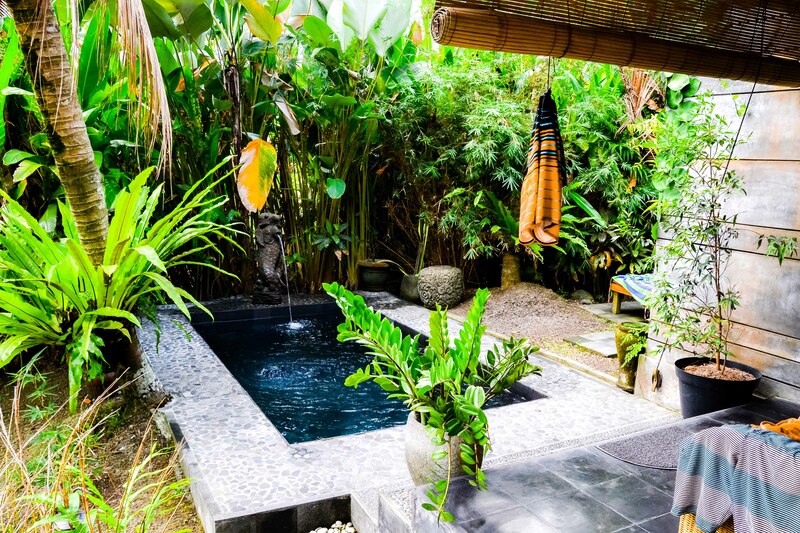 Our friend Nick splurged for a room (~$200/night) at the Komaneka at Rasa Sayang, also on Monkey Forest Rd, just a few blocks from the Swan Inn. His room was fabulously posh, with a gorgeous spacious bathroom and a nice balcony. They even stocked a crystal jar of delicious bite sized cookies every day, which we promptly emptied. The pool was the highlight though, and we took full advantage of his guest privileges! The Komenka has a gorgeous elevated spa with a view with reasonable prices. If they’re booked check out the Kayma Spa across the street which is also gorgeous. I recommend the hour massage and a pedicure. Total bill $30. So spoiled. Hide your kids, hide your wife.. No, seriously though – hide your M&Ms. Eric was accosted by a well endowed ape for his tasty morsels and that monkey meant business. He was definitely prepared to draw blood for chocolate. After successfully wrenching them from Eric’s grip after jumping on Eric’s shoulder for leverage, he sat on the side walk eating them one at a time, while giving Eric the death stare. 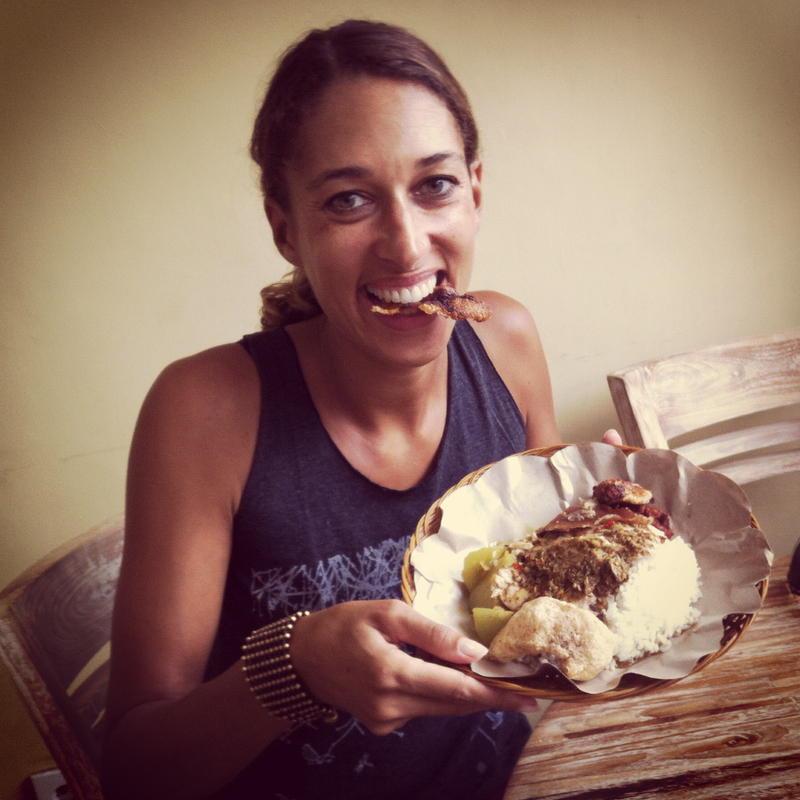 Suckling pig, roast goat, crispy duck…the food in Ubud (hey! that rhymes!) is out of this world. 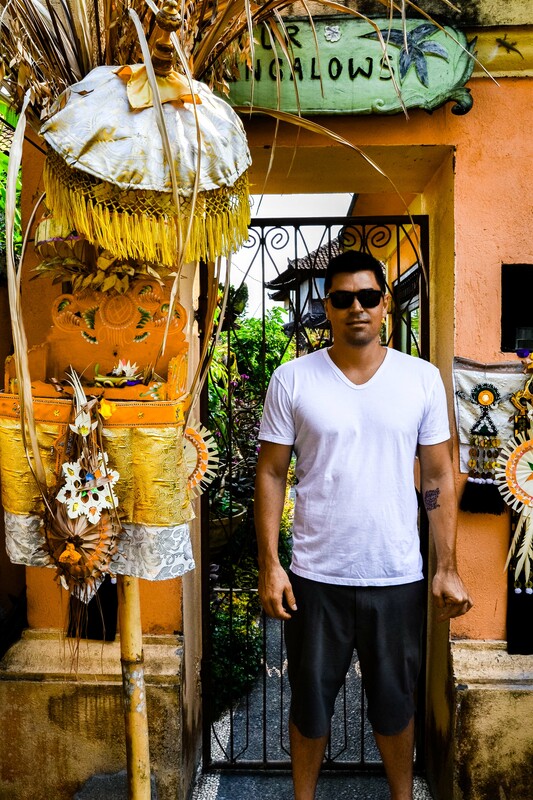 Check out my post on the best places to eat in Ubud. Yoga at Yoga Barn is the place to go. Great 2 for 1 cocktail happy hour at the bar directly to your left when you come out of the walkway back to the main street after an afternoon class too! Get the Lime Squash, yum. 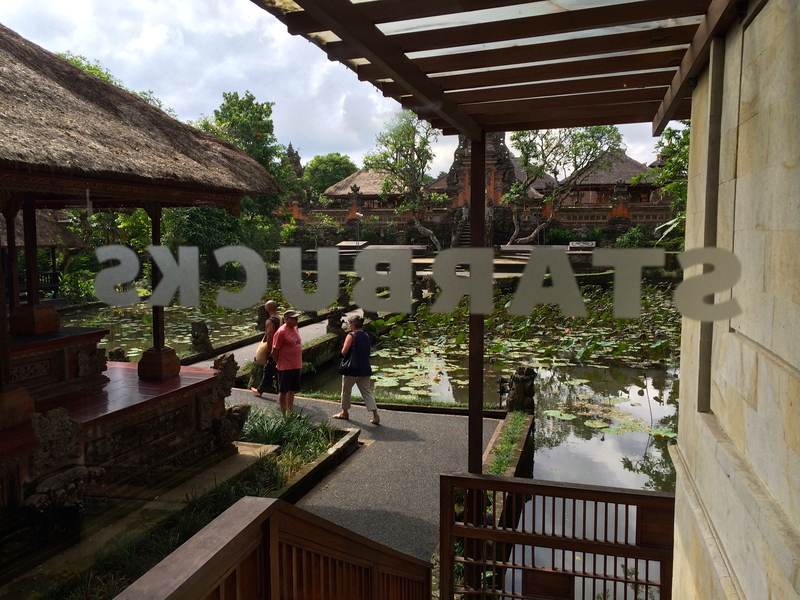 Hands down the most beautiful Starbucks I’ve ever seen is in Ubud. I know, I know…but check it out. And if you go around 7pm I’m told you can watch the traditional dance performance for free as the Starbucks looks down on the stage. 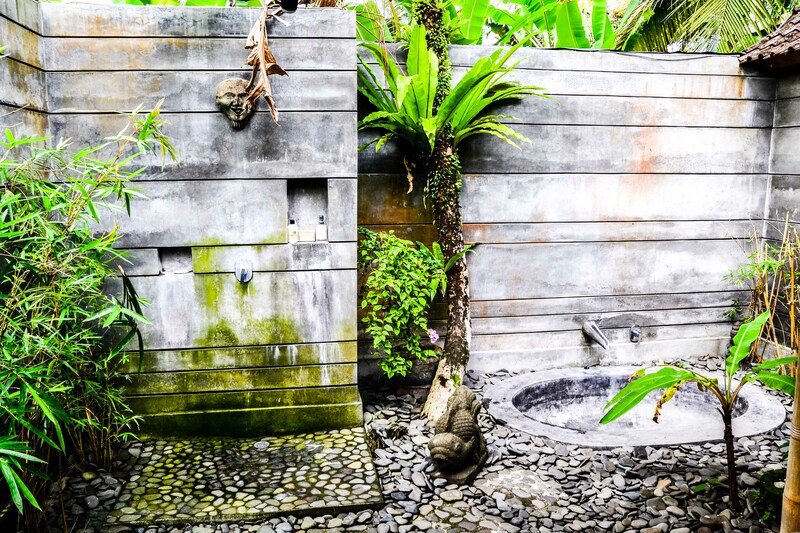 Of course there are many other fabulous options for where to stay in Ubud including this little slice of heaven I hope to check out someday. 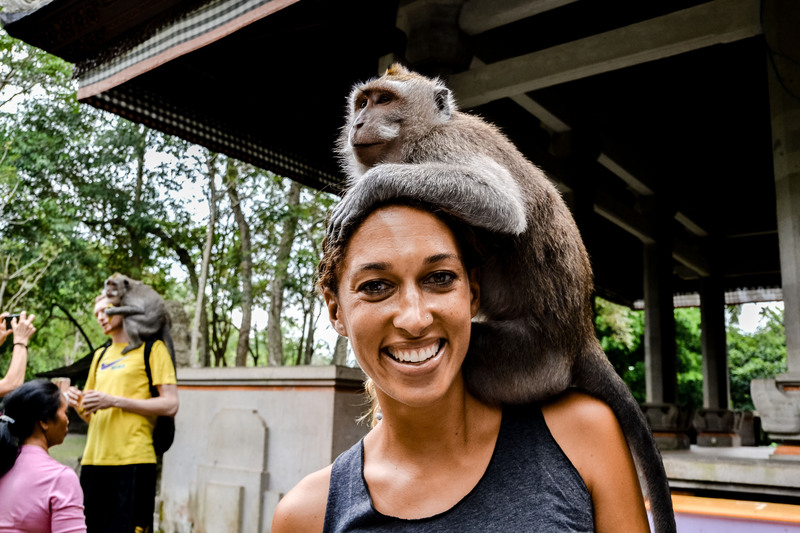 I love Monkey Forest Rd because of the easy access to everything and the great shops. Good list. I know you mentioned ants on the toilet seat, but did you come into contact with any other critters, like spiders?